Bacon and eggs, waffles and sausages, yogurt and fruit: these are what breakfasts are made of! Not so fast! According to some internet research, there are actually hundreds of varieties of breakfast foods enjoyed all over the world. So, if you have been eating eggs, ham, yogurt, or cereal, get ready for a wild idea in breakfast foods. First, a little history. Although the formerly known “crock pot” was patented in 1940, the slow-cooker technology only really soared in the mid-1970s when women returned to the workforce in large numbers. Various appliances brands created their own unique design, sizes and features and so, the competition began to create the best appliance since the toaster! Some of the benefits from using a slow cooker include creating nutritious meals without the constant supervision and so, freeing up your time to do other tasks like reading a book! Additionally, working outside the home allows you to return after a long hard day to a delicious ready-to-eat meal. Slow cookers were mostly designed to cook meats, stews, and soups. Pulled pork or chicken recipes are plentiful, but did you know that your favourite breakfast meals can be ready for you at your wake-up time? Imagine sleeping through the night as your slow cooker is magically cooking up your favourite recipe. Here are my top 2 favourite breakfast meals to wake up to and that get me out the door satisfied! 1) Oatmeal with cinnamon and apples! 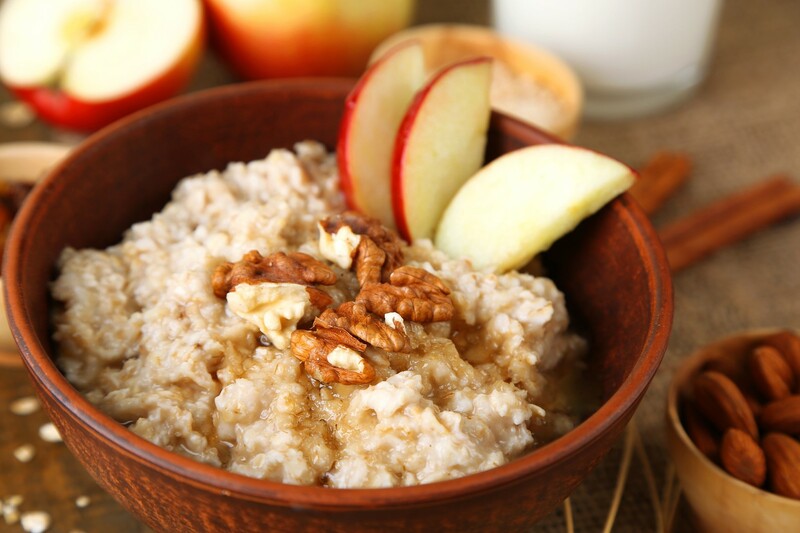 There is nothing better on a cool fall morning than warm oatmeal and apples. I start by spraying the inside of the slow cooker with cooking spray or oil and then add the few ingredients. I prefer to use 1 cup of steel cut oats, as these contain the highest nutrition. I add 1 ½ cup of coconut milk, but you can choose your favourite, as well as 1 ½ cups of water, 2 cored and diced apples, 1 teaspoon of cinnamon and a pinch of salt. I leave it on slow for about 7 hours and voilá! I like to add some toppings like nuts and fresh berries just before serving. 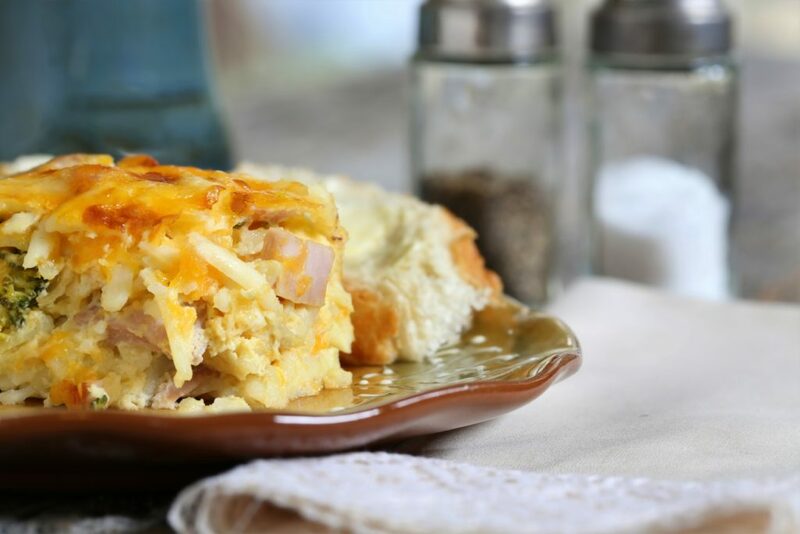 2) Breakfast pie with eggs and sweet potatoes! If you love your eggs in the morning, you must try this! In a bowl gently beat 8 eggs, then add 1 shredded medium sweet potato, 1 lb of sliced breakfast sausage. I spice it up with a teaspoon each of basil and garlic powder with a small diced white onion. We love mushrooms and red peppers, so I include some of those with a pinch of salt and pepper to taste. Pour the mixture into your well greased slow cooker on slow for 7 hours to make sure the sausage is cooked through. Remember that left-overs will still be delicious so making a batch won’t be a problem. These are only 2, but your local bookstore will have several recipe books dedicated to the slow cooker and breakfast. Search online for those meals that take as little as 2 hours for large batches of food for a brunch or breakfast for dinner! Ingredients include all kinds of grains, vegetables, meats, eggs and cheese. For you out there who love your breakfast sweet, you will find recipes with jams and bread, buns and honey. Whatever you enjoy eating in the morning, have it ready and piping hot.